I got mine to say Mr & Mrs and they turned out SO well!! They are the cutest little cups:) I thought they were going to be a little bigger but no big deal! Bernie is also super responsive and great to work with! These mugs turned out perfectly!! They shipped on time and arrived with plenty of time before the bachelorette party. We used them all weekend long and everyone commented on how fun and personal they were. One thing to keep in mind is that the cups get really hot if you put a hot beverage in them (which is what we expected). 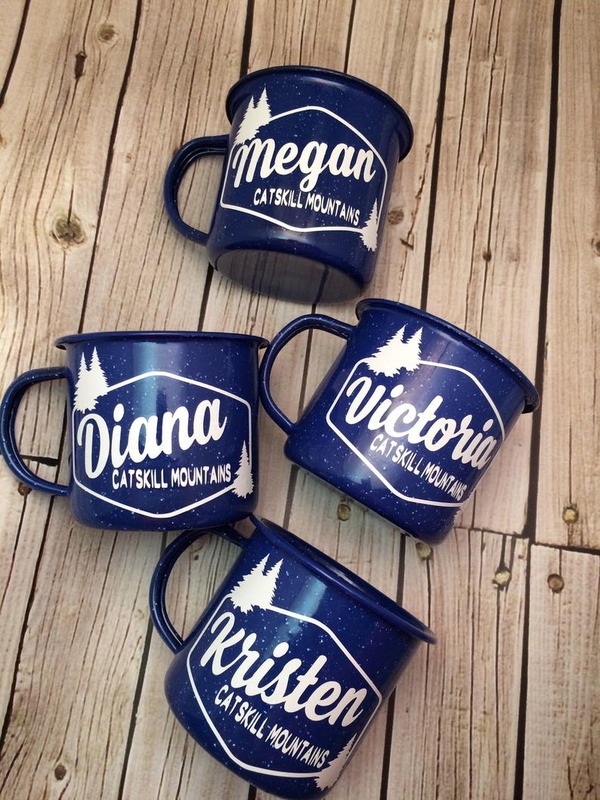 But they were perfect for all other types of beverages during our cabin weekend, and the names solved the problem of everyone always losing their cups! Very cute! Seller was great to work with.